Since beginning my blog, I’ve often been at pains to point out that, “I do not write reviews” (no rating system / stars / marks out of ten and no rare recommendations to “go” or to “avoid”). On the other hand I am aware that many (most? all?) readers do in fact use my ‘blog’ as a review site. Blog (noun) – a truncation of ‘web log’; defined by Oxford Dictioaries.com as ‘a personal website or web page on which an individual records opinions, links to other sites, etc. on a regular basis’ or ‘a journal or diary that is on the Internet’. Blogger (noun) – a person who keeps a blog (in the world of food blogs, often confused with ‘blagger’ – the ones that like nothing better than a free lunch, but do remember that they are “no obligation to say anything nice”). These days, whilst some blogs grow beyond what the writer may have originally intended and become ‘commercial enterprises’ (the offers of advertising, sponsored posts and paid writing jobs can be tempting, I’m sure), I still feel that, at their core, all blogs should have some element of the blogger writing about their mundane day-to-day life… aka sharing their passions. Of course, with any luck their ‘passions’ will be supported by some modicum of knowledge, writing ability and hopefully a little humour – but it is also important to remember that most bloggers are far from experts, professional writers or stand up comedians. 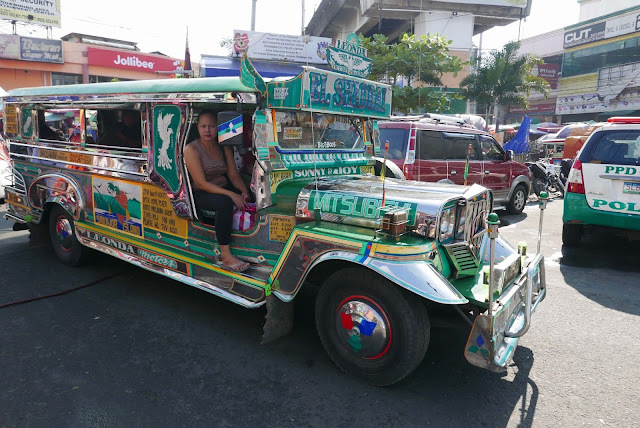 Anyways… back to the review blog post. 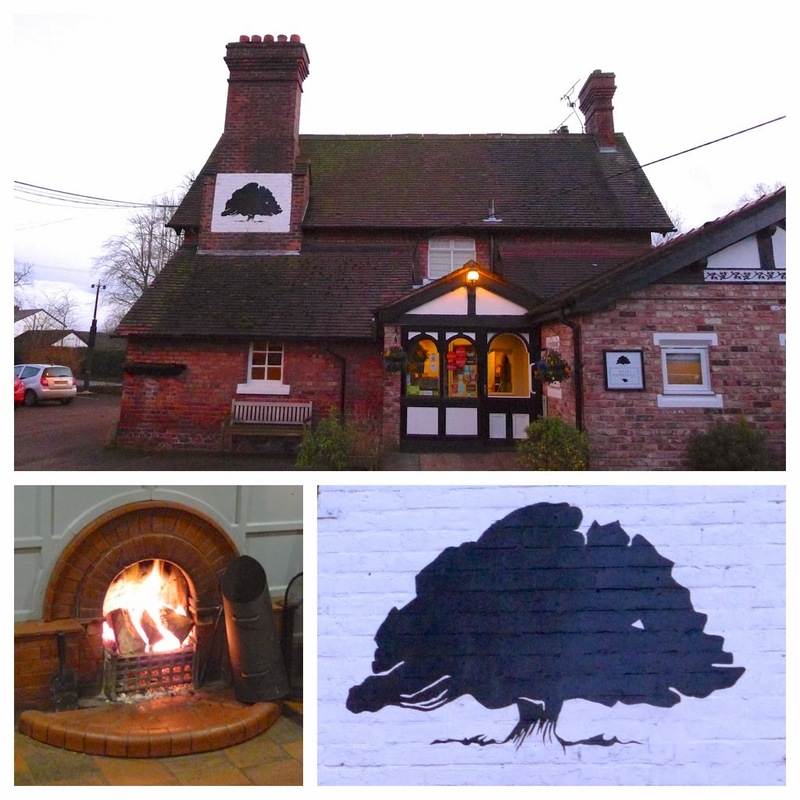 I first visited The Yew Tree Inn, Bunbury in October last year (see here). 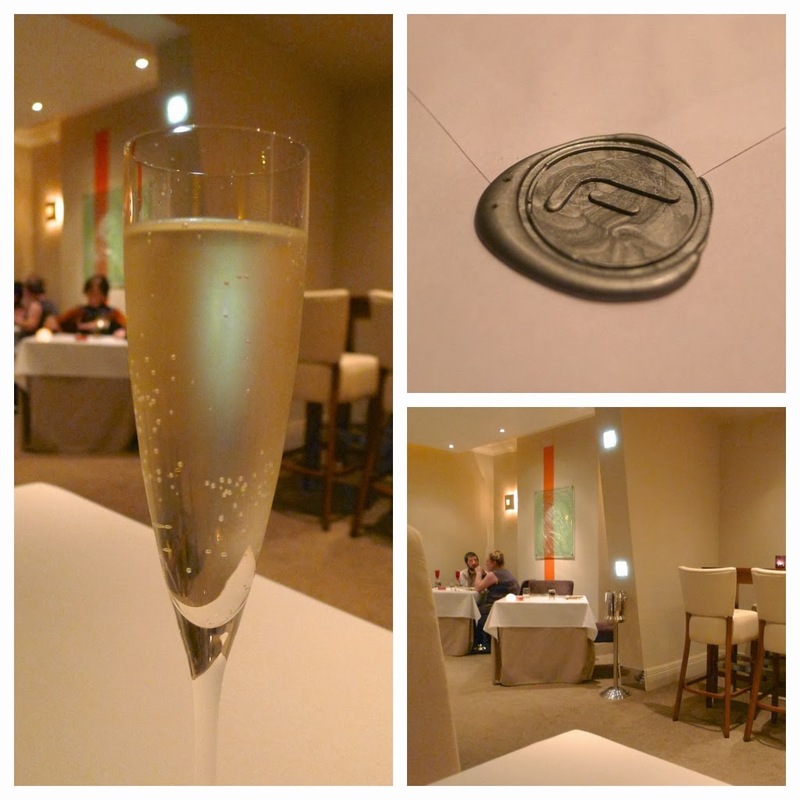 In the blog post I wrote I mentioned all the things you’d expect from a ‘review’ – the décor, the atmosphere and the service. Having skipped dessert on that visit, I promised I would return for them, and take my wife. It was a cold evening, the fireplace was ablaze and my wife was in the mood for a warming bowl of soup. 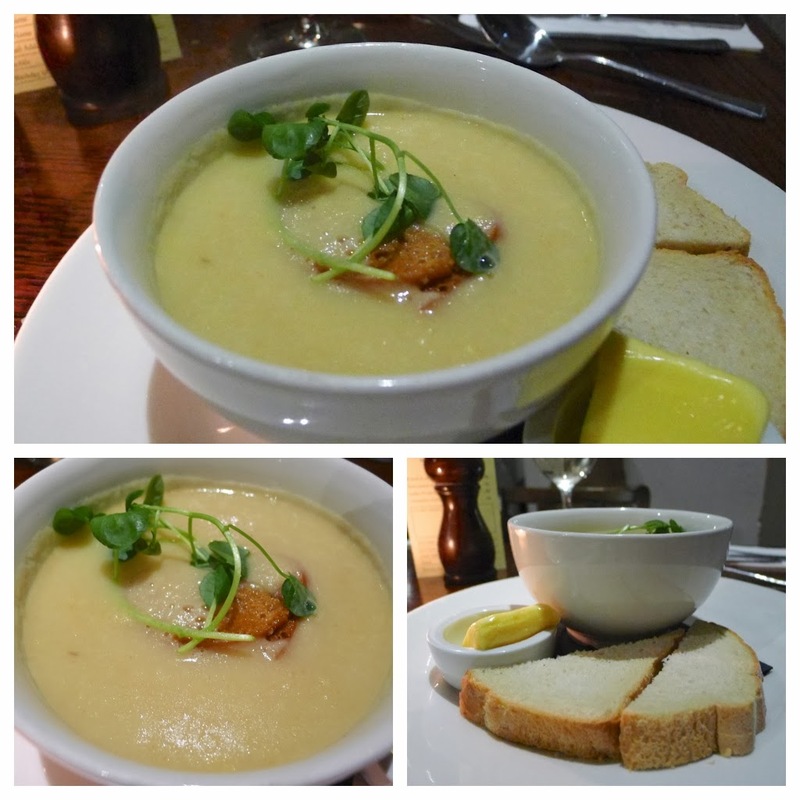 The ‘Soup of the Day’ (served with fresh bread) was Apple & Cider – a new flavour combination on me (but Google reveals quite a few recipes) it was clearly well made but I wasn’t convinced by the combination… my wife loved it! 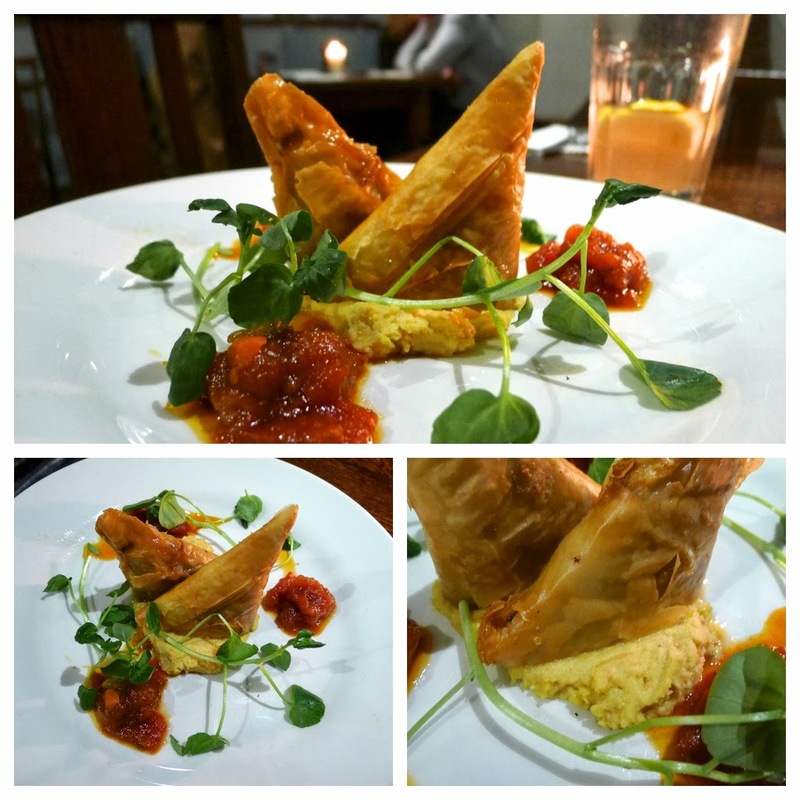 I couldn’t decide whether to have the Spiced Beef & Cumin Filo Parcel or the Slow Braised Pigs Cheeks, so I did the only reasonable thing and ordered both. 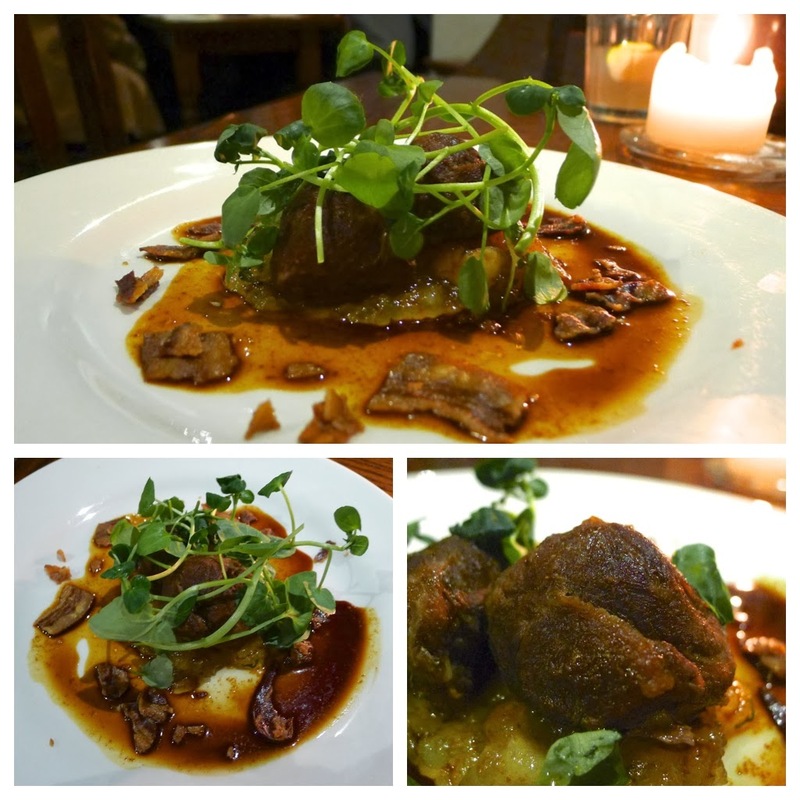 The Slow Braised Pigs Cheeks were another good dish – not the prettiest but the taste was good. A negative gripe: I found the ‘crispy pancetta’ too crispy – it was brittle, had lost its flavour and was unappetising. Positively: the accompanying apple and sage compote was not too sweet. 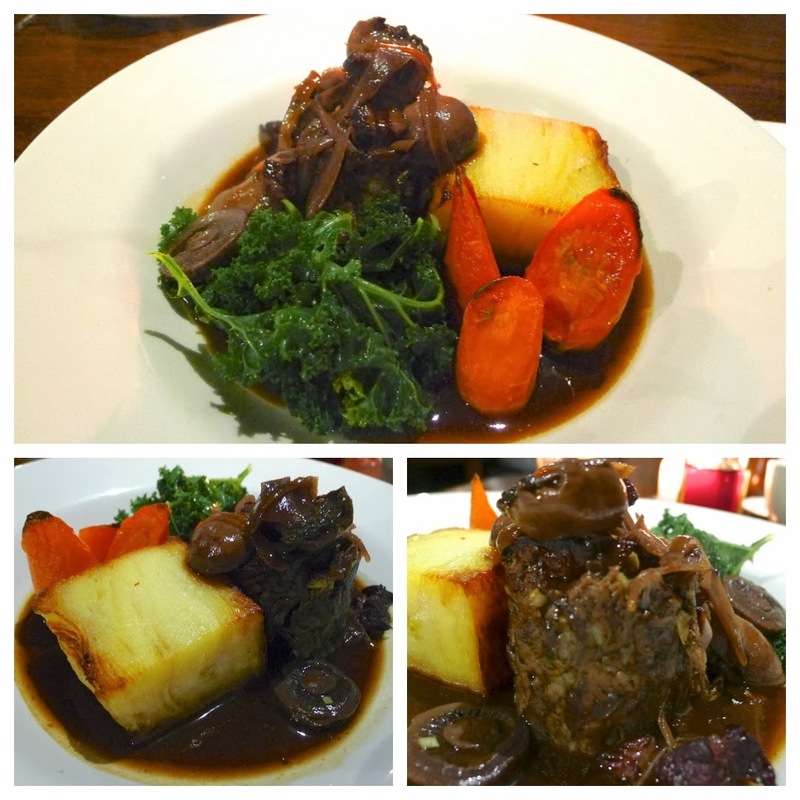 My main of Slow Braised Shin of Beef was everything a good winter warmer should be – hearty and full of flavour. Boulangere potatoes, thyme roasted carrots, winter greens & Bourguignon sauce completed the dish. My wife’s Homemade Fish Pie could have had a little more colour on the creamy mash & Cheshire cheese topping, if only for the photo. Inside though, the fresh and smoked fish were generously portioned with prawns and spinach. 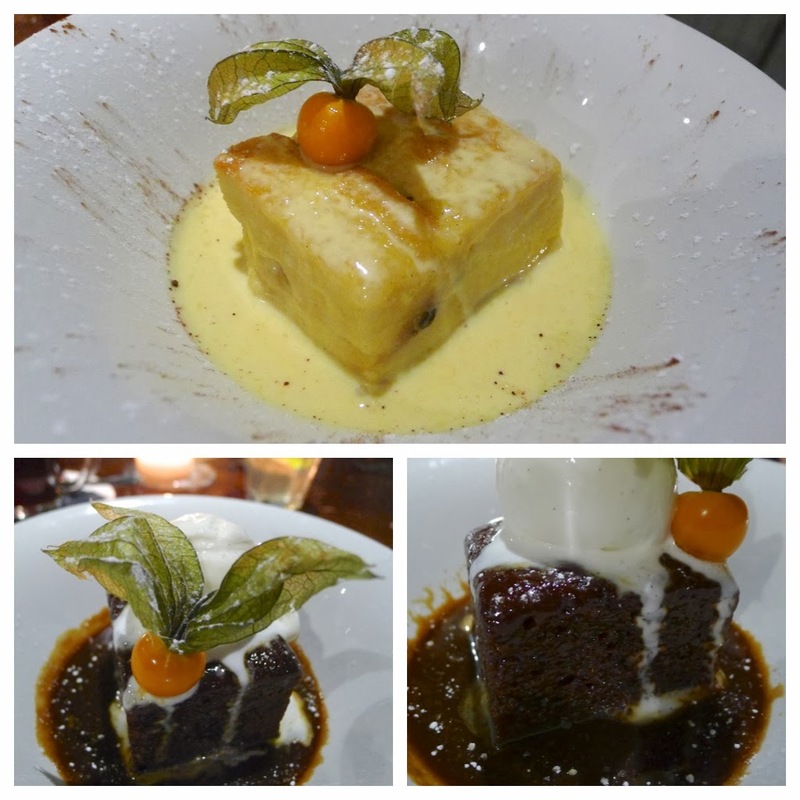 For dessert we shared Sticky Toffee Pudding with Butterscotch Sauce & Vanilla Ice Cream and Bread & Butter Pudding with Crème Anglaise – you couldn't argue with either; two British pub classics done well. 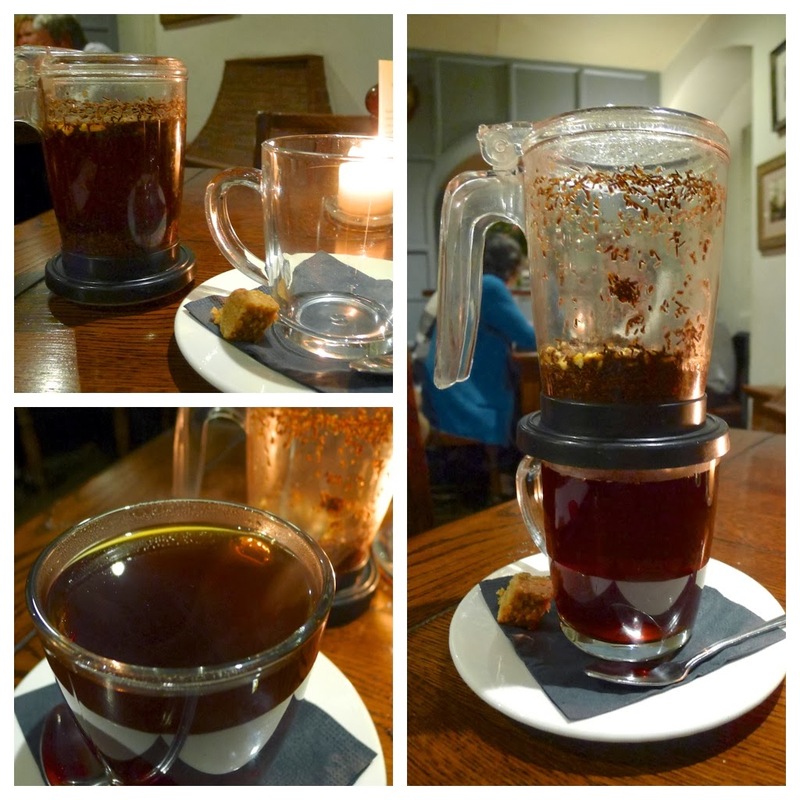 To finish I ordered a Pu-erh Tea – the first time I have seen it in a pub! As a lover of fine teas it’s great to see places starting to offer wider ranges and improved qualities. The ATTIC Teas range in this case with their bespoke tea ware. The Lake District is a pretty special place. 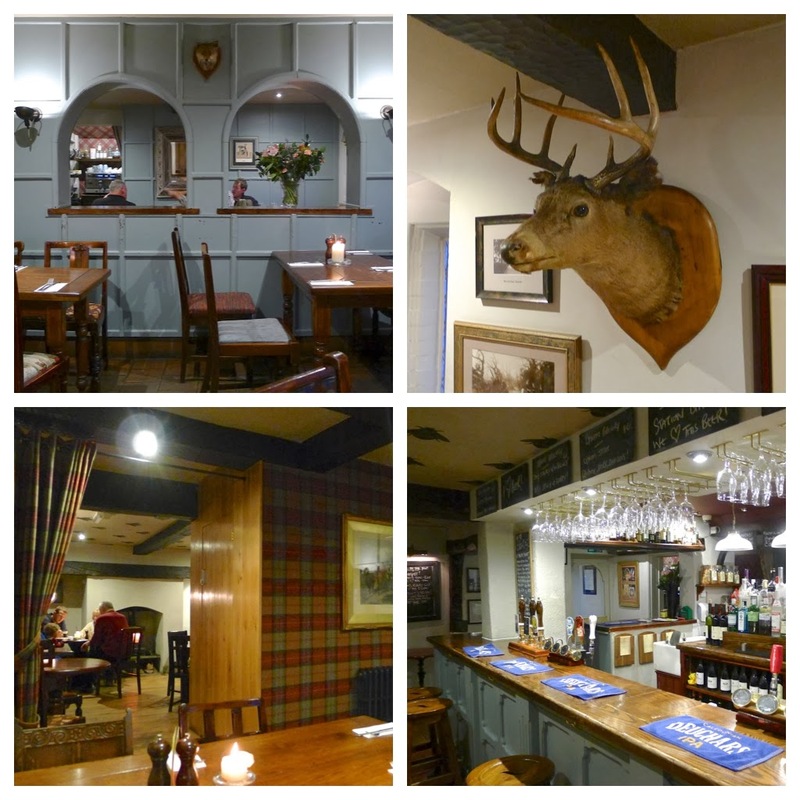 Not only is it England’s largest National Park with the country’s highest mountain (Scafell Pike), deepest (Wastwater) and largest lakes (Windermere) it is also home to the Keswick Pencil Museum… oh, and the UK’s Best Restaurant! For a foodie / foodist (whichever you prefer) The Lakes are a true treasure trove. 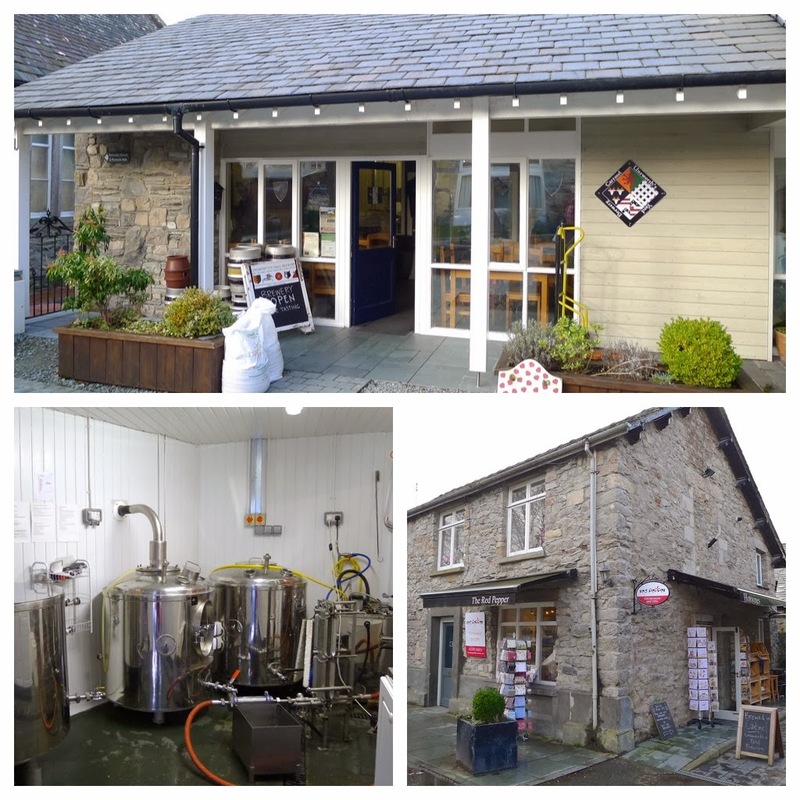 Cumbria has the most microbreweries of any English country (one being ‘Barngates’ at the Drunken Duck Inn) and boasts three Michelin starred restaurants: Holbeck Gyhll, The Samling and the two star L’Enclume. 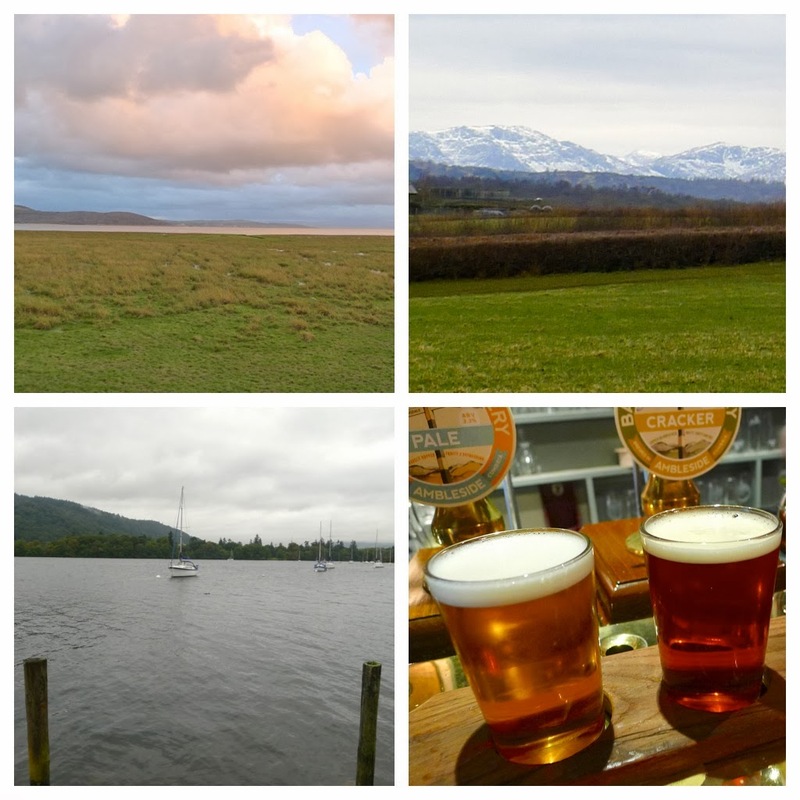 The Lakeland’s produce too, is tough to beat - the extraordinary coastline yields the magnificent Morecambe Bay Shrimps and Muncaster Crab; from the pastures come, Salt Marsh and Herdwick Lambs as well as world famous Cumberland Sausages. A day spent in Cartmel has everything a discerning traveller in search of the finest foods such as myself could hope to find. 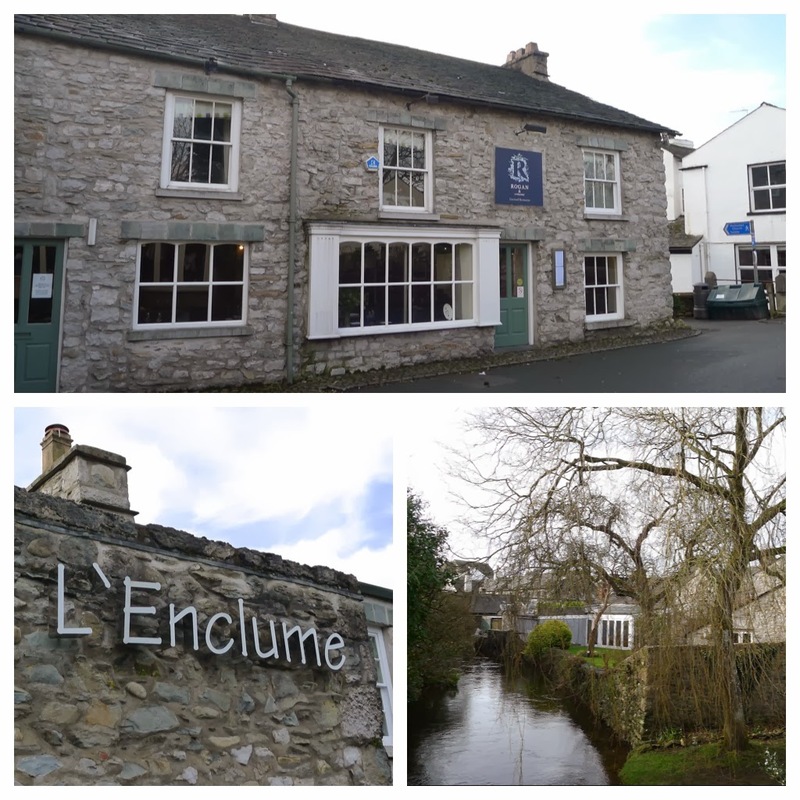 Not only is it the ‘home of sticky toffee pudding’ and Simon Rogan’s L’Enclume but there is so much else on offer. 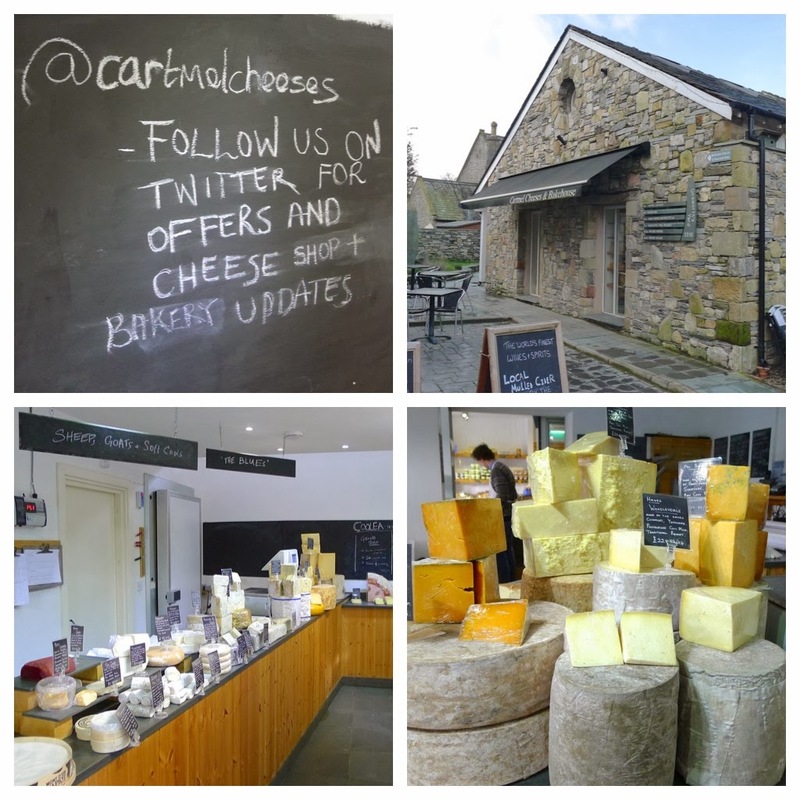 Cheesophiles, should make a beeline for Cartmel Cheeses and Bakery – with a relatively small but exceptional quality selection of cheeses, it’s the finest fromagerie I have visited outside of London. I always find something interesting in the Village Shop, whether it is crackers or honeycomb for the cheese, some tasty preserves or indulgent chocolates. 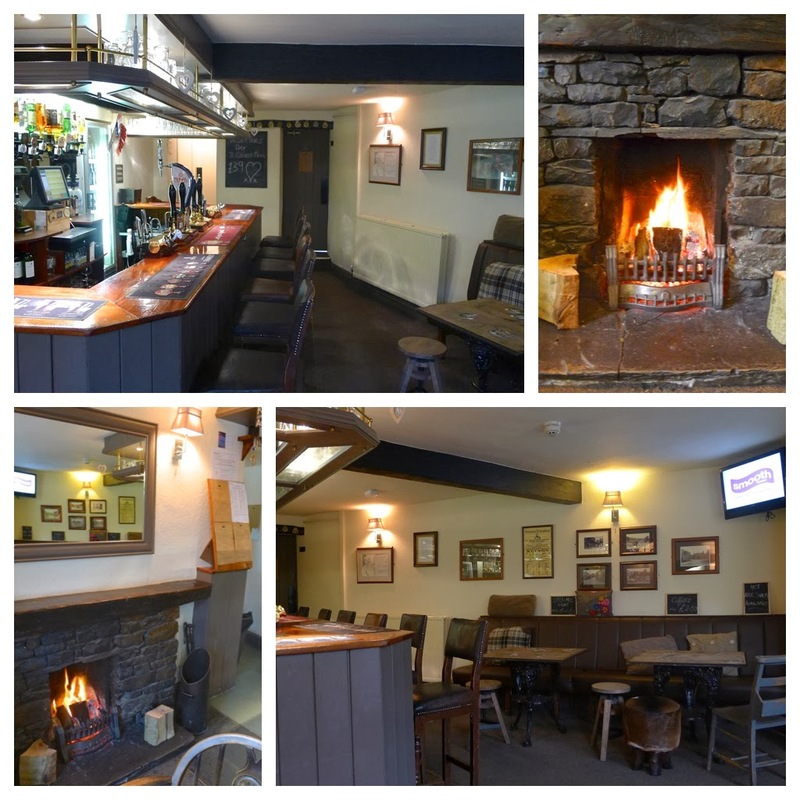 For drinkers, the village has four pubs: the friendly Cavendish Arms (just along from L’Enclume), the Royal Oak and Kings Arms in ‘the square’ and, on the edge of the village over looking fields of sheep, the cosy, Rogan owned Pig & Whistle. Visitors should also check out the ‘rare wines’ at Hot Wines and Unsworth’s Yard Brewery – producers of Sir William Marshal’s Crusader Gold, and the ruby ale, my favourite, Sir Edgar Harrington’s Last Wolf. 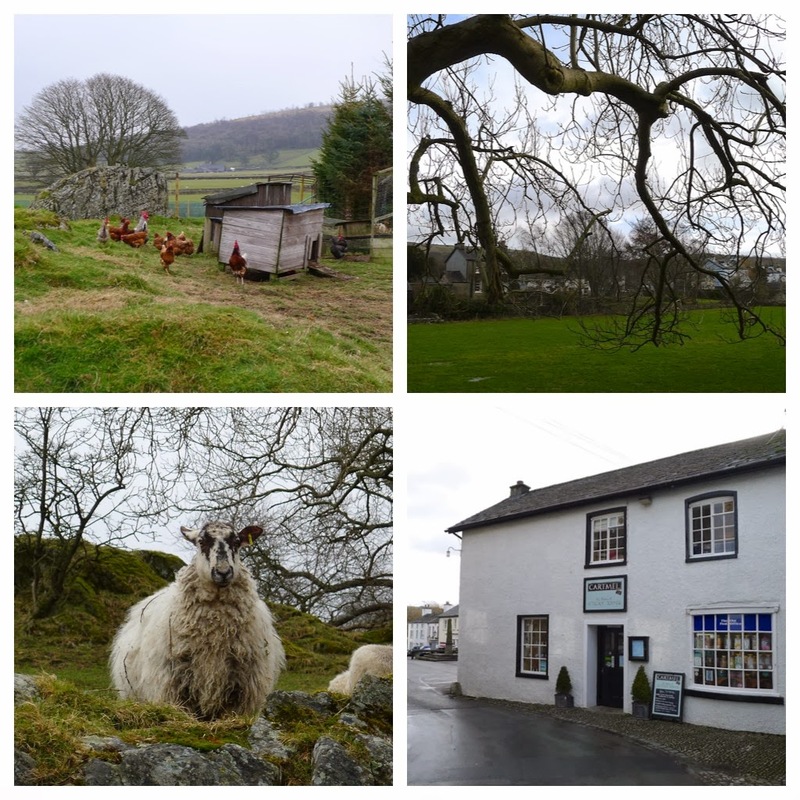 To build up an appetite it’s a good idea to arrive early and take a walk on the surrounding rugged fells; but do arrive at the Cartmel Bakery in time for opening (10am). I always get one of their signature Cheese & Marmite breads and whatever else is looking particularly fine. 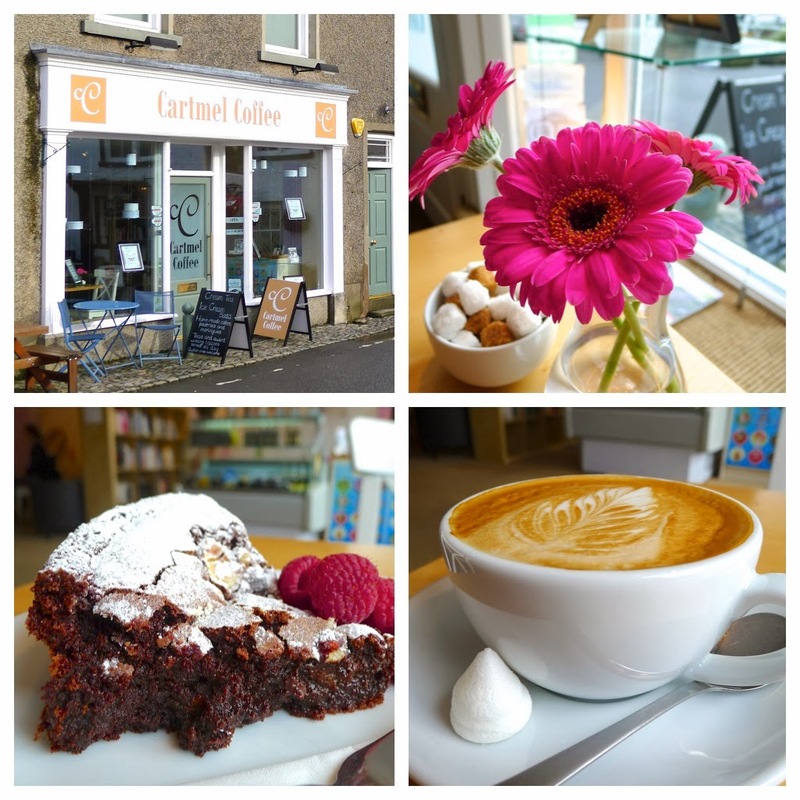 Next, a brew at the award winning Cartmel Coffee is called for – it would be rude not to have a slice of their delicious homemade cakes too. 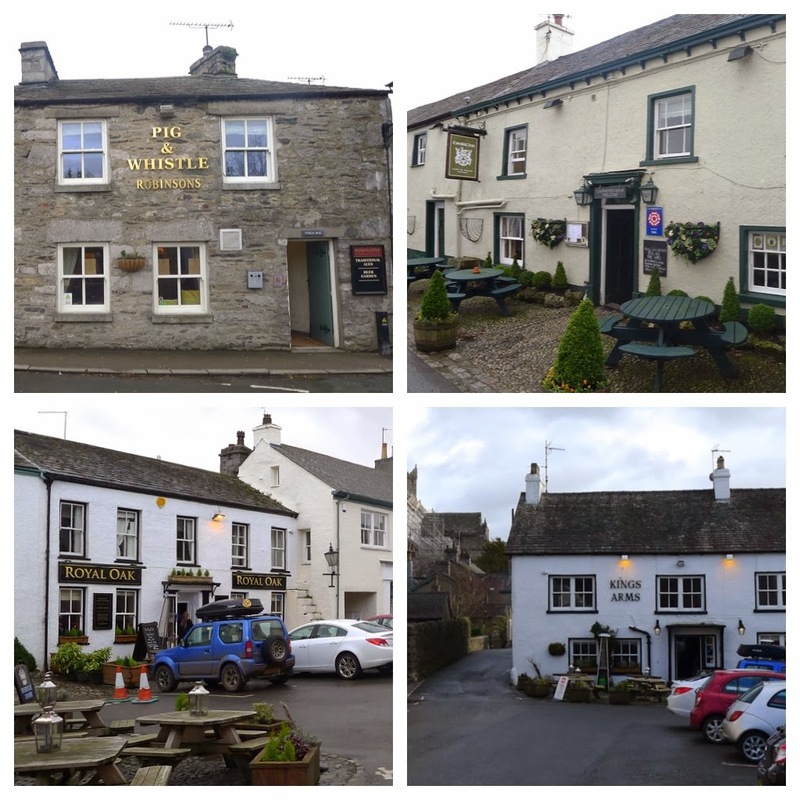 There is another quaint ‘tea room’ in Cartmel but the more modern Cartmel Coffee holds the highest rating of Five Cups (from the BSA) making them one of the Top 10 Best Coffee Shops in the UK. 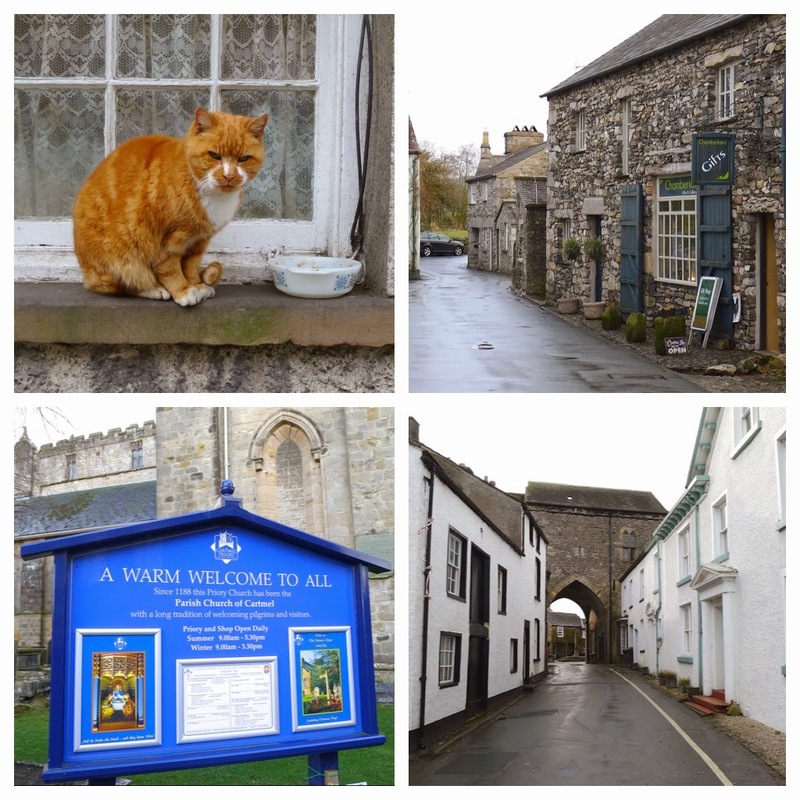 After a coffee and a stroll around the village feeding the ducks, saying hello to Ben the cat and visiting the interesting little shops or the magnificent Priory, it should be time for lunch. 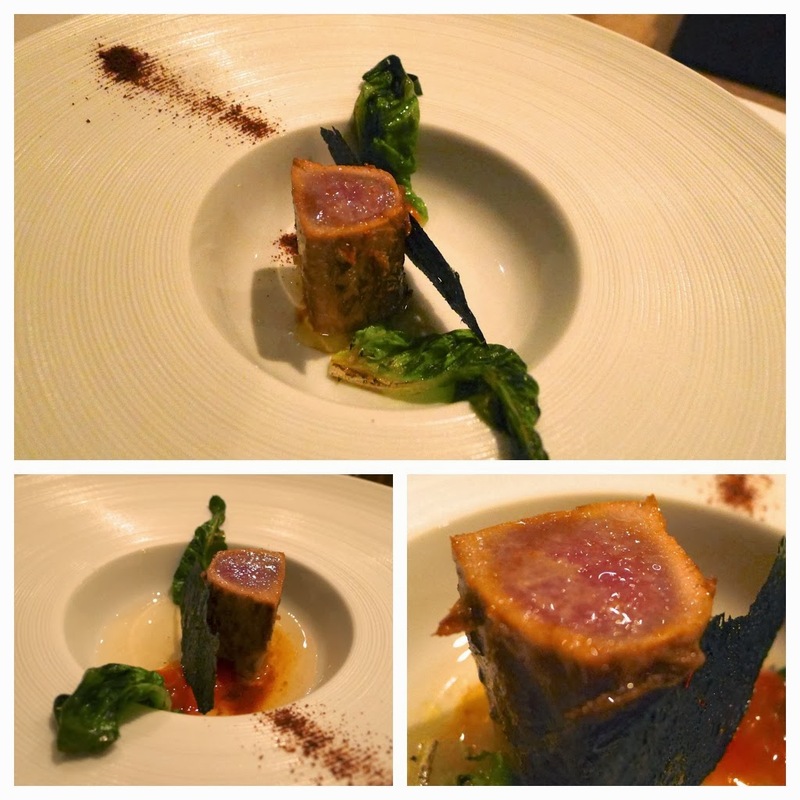 · Lunch at L’Enclume / dinner at Rogan and Co.
· Lunch at L’Enclume / dinner at The Pig & Whistle. 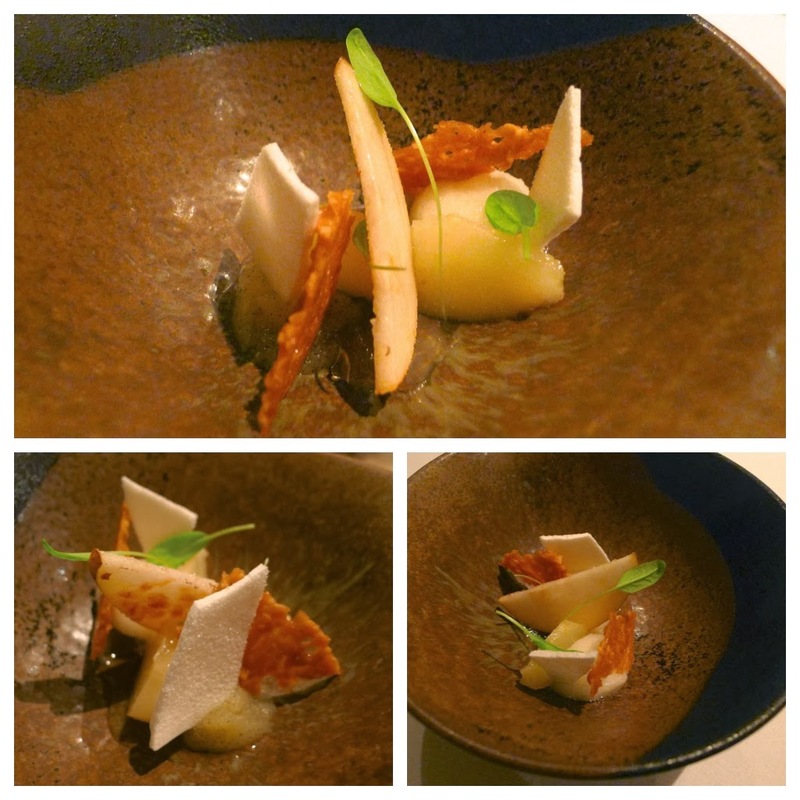 · Lunch at The Pig & Whistle / dinner at L’Enclume. 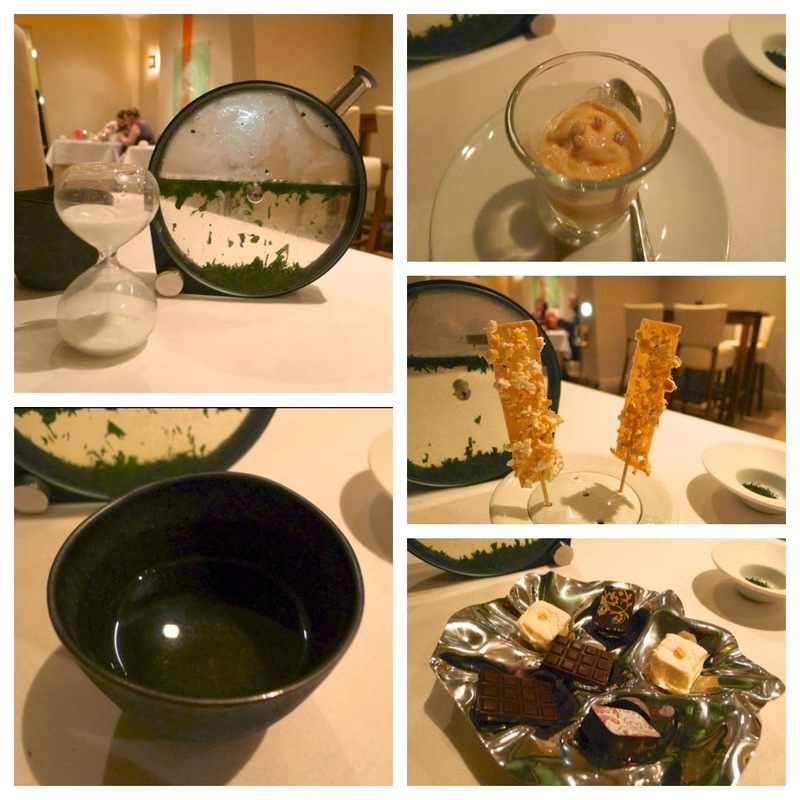 · Lunch at Rogan and Co. / dinner at L’Enclume. 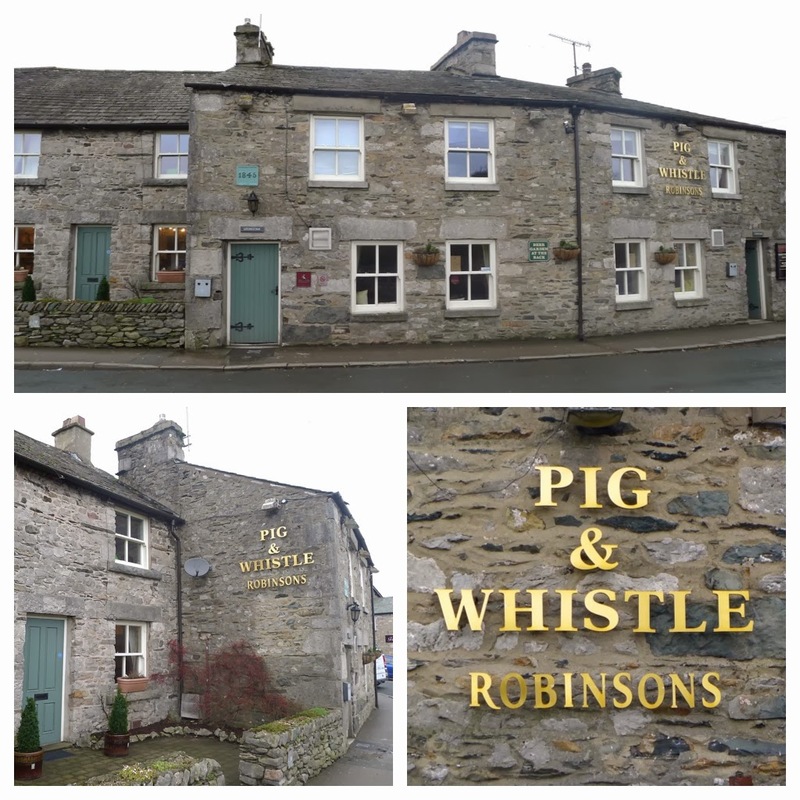 · Lunch at Rogan and Co. / dinner at The Pig & Whistle. Of course, you could eat at one of the other pubs in’t village but no self-respecting food snob should pass up the chance of eating Simon Rogan’s grub. On my recent trip, I chose the latter option (I’m yet to indulge in lunch at L’Enclume followed by dinner at L’Enclume). Here’s the write up of my Rogan and Co. lunch. 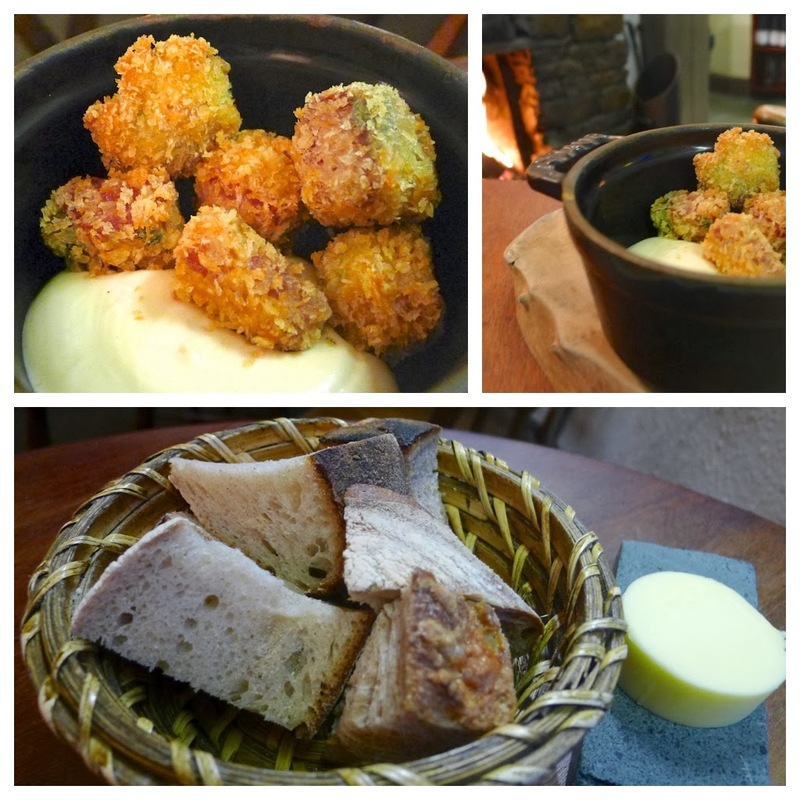 Bar snack: Ham Hock Fritters – the perfect crunchy, coating flavourful hock meat. Some of that terrific Cheese & Marmite Bread from the local bakers also arrived. 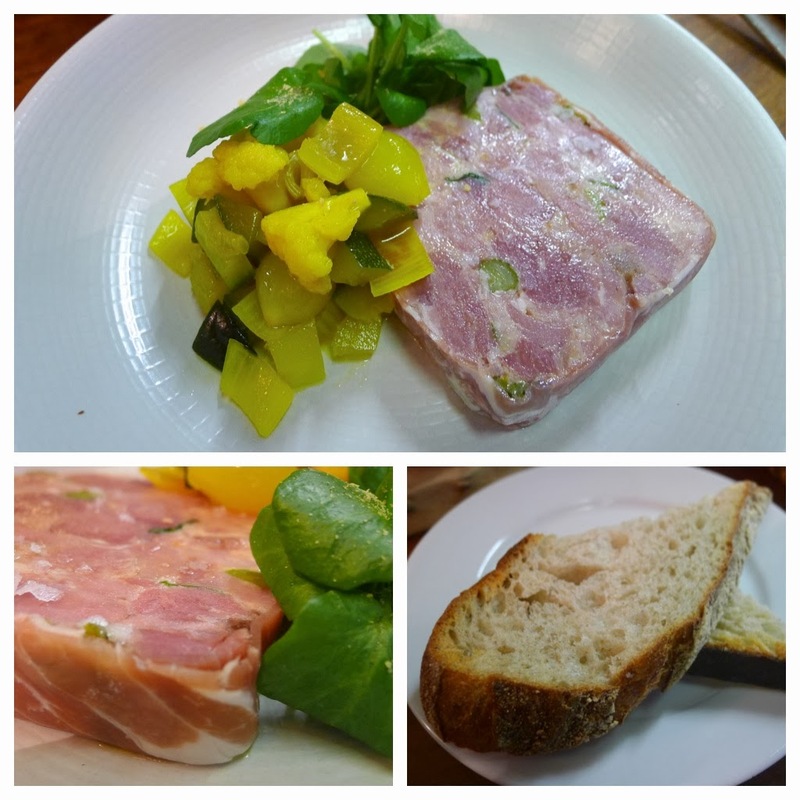 From the starters, Pressed Ham Terrine with Piccalilli – the hearty, rustic terrines at The Piggy are always good. 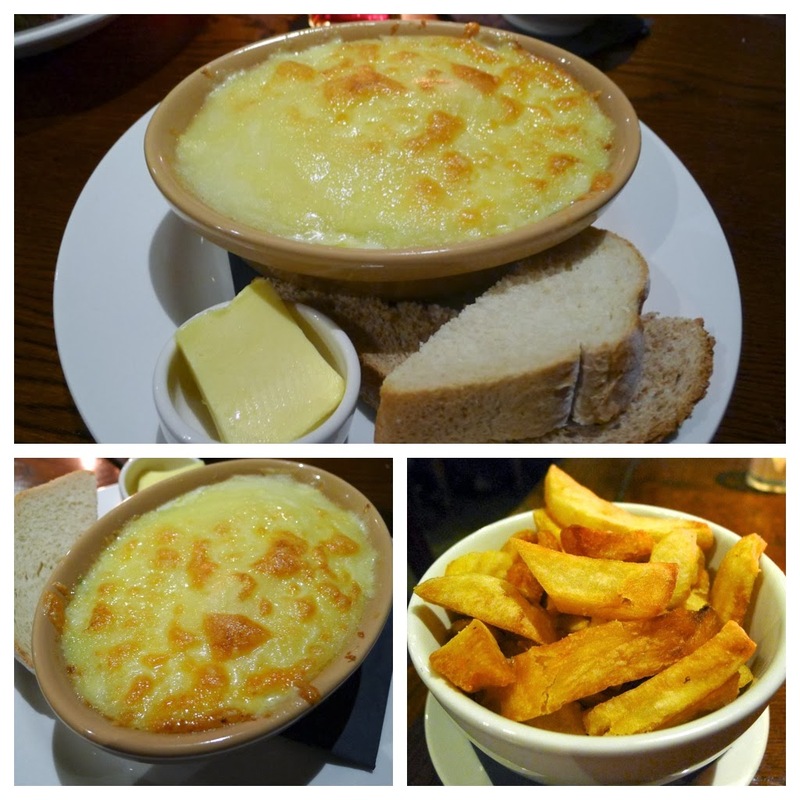 Served with an equally rustic, coarse piccalilli, this is what proper pub grub is all about. 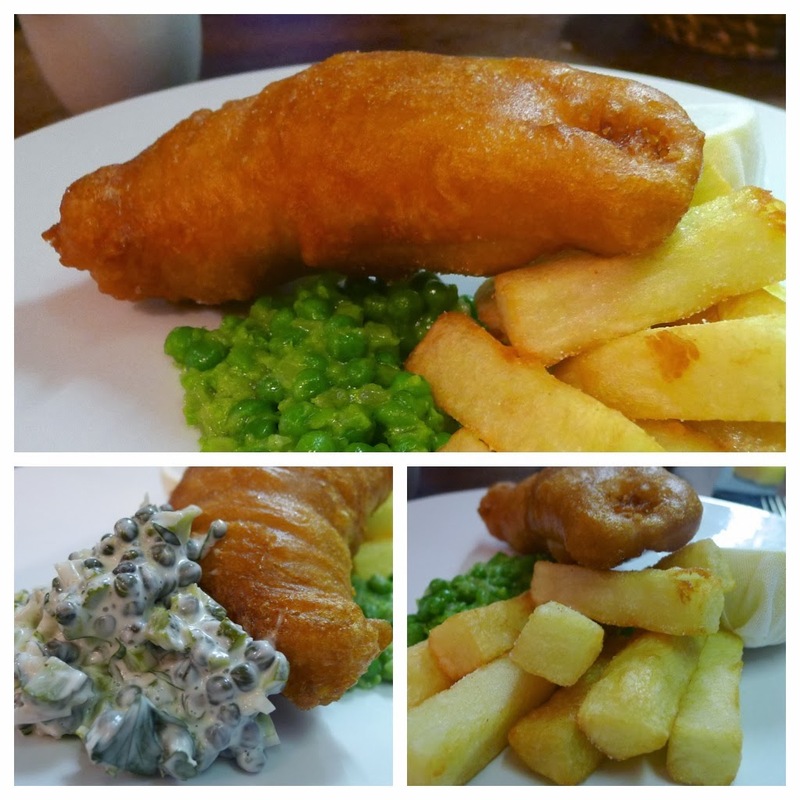 From the mains I went for, XB Beer Battered Cod with Hand Cut Chips & Crushed Peas – the beer batter, made with Hartleys Cumbrian XB, was the beeriest beer batter I’ve ever tasted. The thick chips and peas were good but it was the caper laden tartar sauce which really took the dish up a notch. For dessert, Baked Apple Rice Pudding – I don’t quite know what I expected but it certainly wasn’t the dish that arrived. 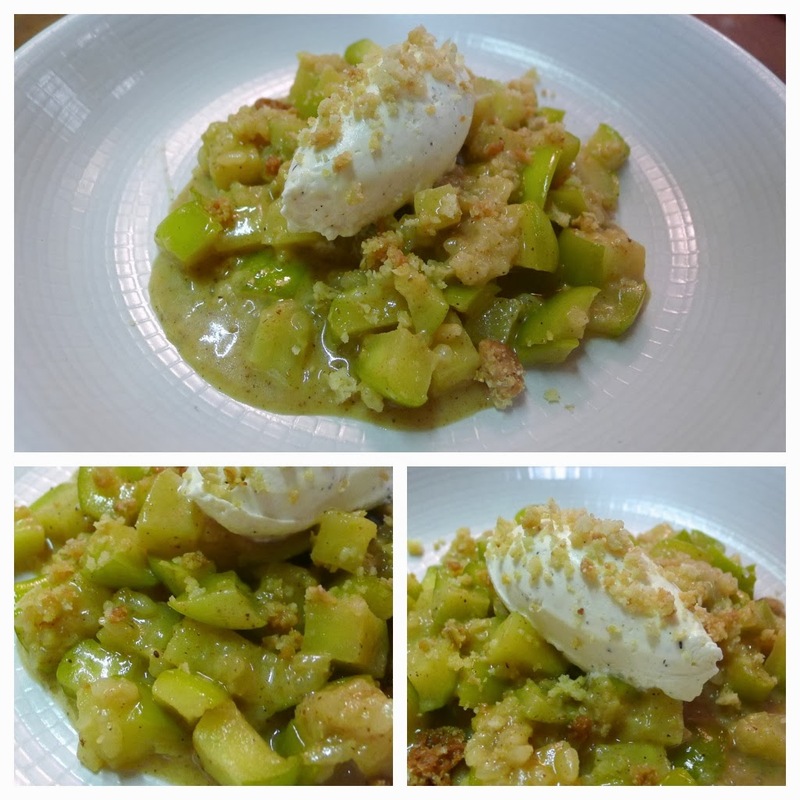 With the chunky pieces of apple and a crunchy crumble sprinkled the dish had excellent textures and well as comforting homely flavours. 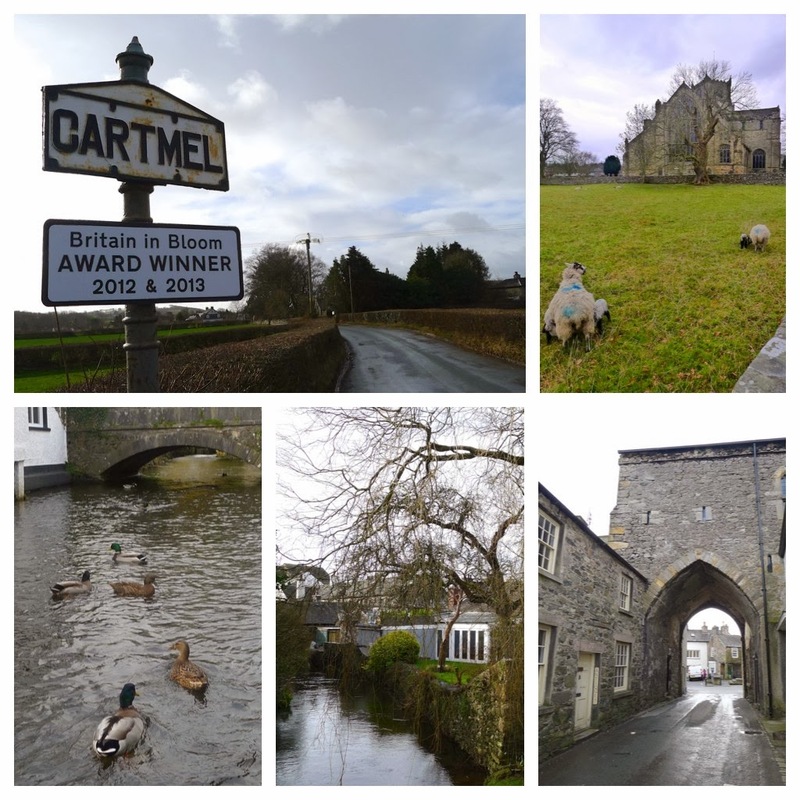 Another great day spent in Cartmel. One day soon I must try and make it up to the monthly Food Market that takes place on the third Friday of every month. 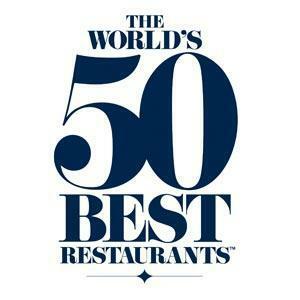 Restaurant Fraiche in Oxton on the Wirral has held a Michelin star for six consecutive years. An impressive feat made all the more remarkable when you consider that Chef Marc Wilkinson toils alone (save for a washer upperer) in the kitchen. As a huge fan of Marc’s food, I’ve lost count of how many times my wife and I have dined at Fraiche over the years, but it’s well into double figures. The following pictures were taken during our recent visit on Valentine’s Day. The lights were set for romance not for photography so I apologise if the pictures are not up to my usual standard, or do Marc’s food sufficient justice. 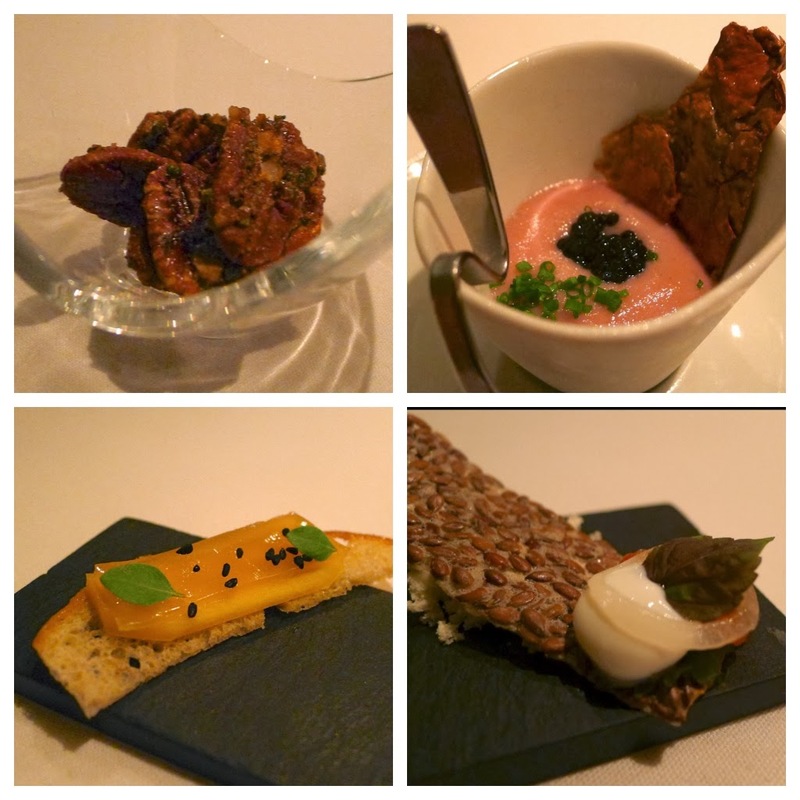 The meal started with a series of snacks – the compulsory Spiced Pecans; a Pink Potato Espuma with indulgent Ebène Caviar; Chorizo (jelly) & Mango ‘Sandwich’ and Trout Roe with Yoghurt, Dehytradted Olive Oil & Shiso on Linseed Crisps. 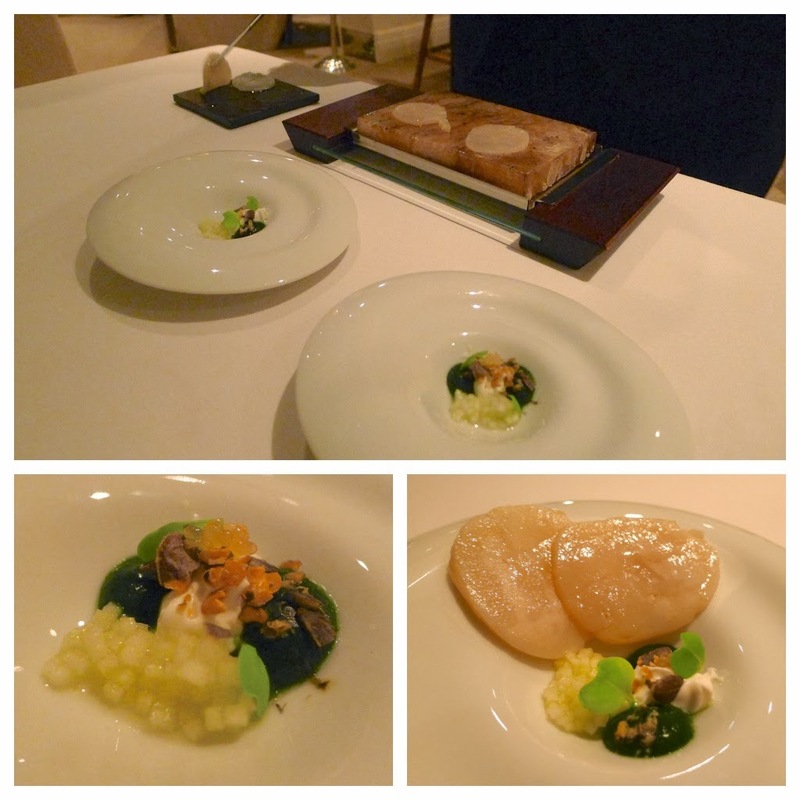 Theatrically prepared at the table, the next dish consisted of the finest dice of Apple, Parsley Puree, Yoghurt, juicy cells of a Finger Lime with which slices of Hand Dived Scottish Scallop were lightly seared on a hot salt ‘stone’. 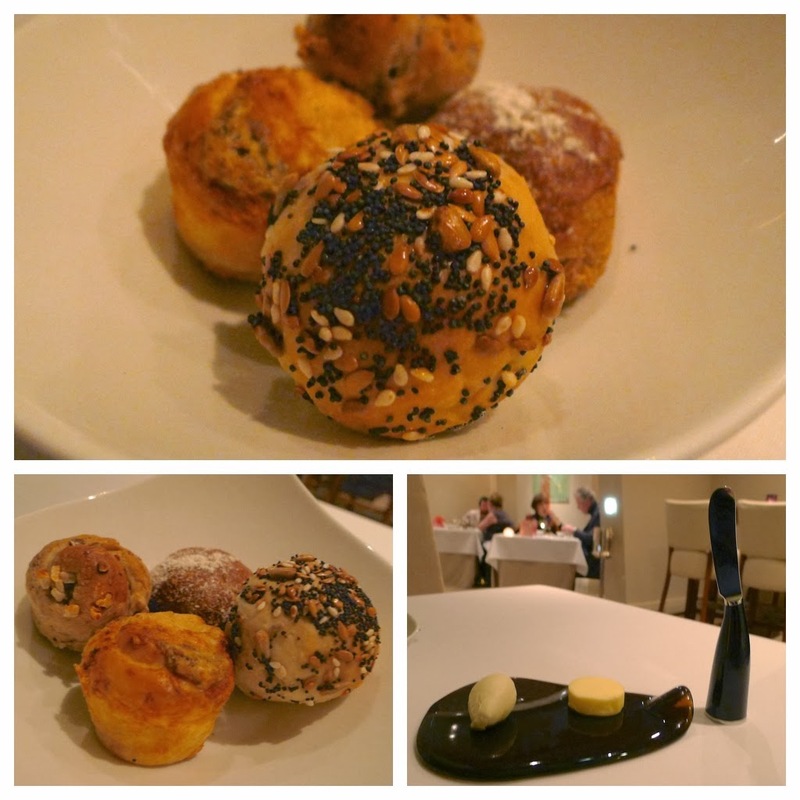 Breads: this time the first instalment of the usual bread selection (Cheese, Five Nut, Mixed Seed and Granary & Treacle) were served with an Unsalted Butter and an infused Grape Butter – personally, I was not so keen on the grape one. Truffle Butter I like but I’m beginning to conclude that perhaps ‘fruit butters’ are not for me (I was not convinced by the one at Gagnaire either – here). The next dish, my favourite of the evening, was Artichoke Textures (puree, carpaccio, crispy skin) with rich Egg Yolk, White Port Jelly, Garlic Chive and Verjus upon which a generous shower of Périgord Truffle was added at the table. 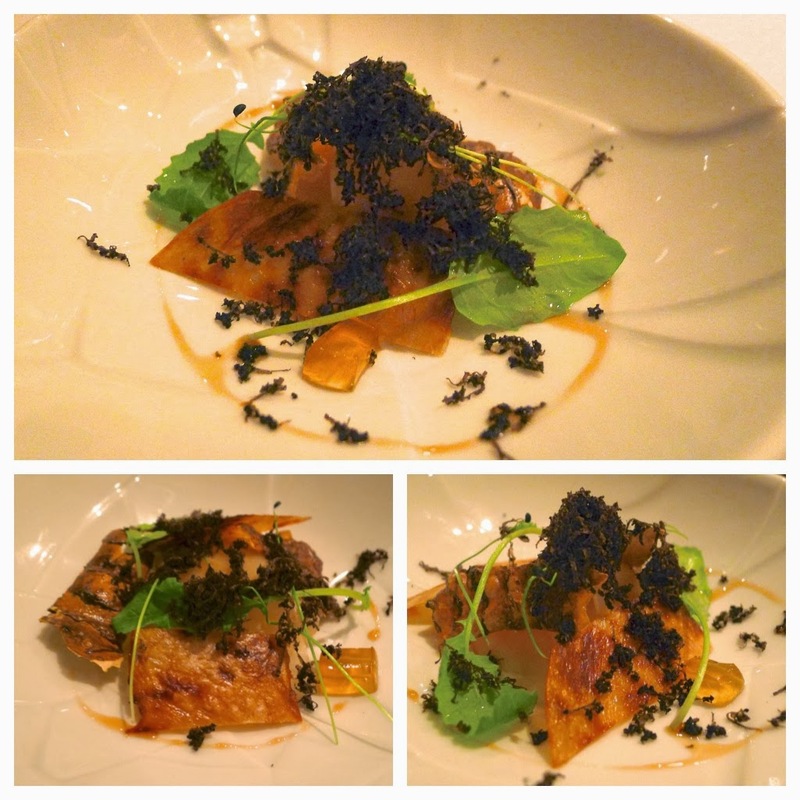 The truffle made an excellent dish, truly exceptional. 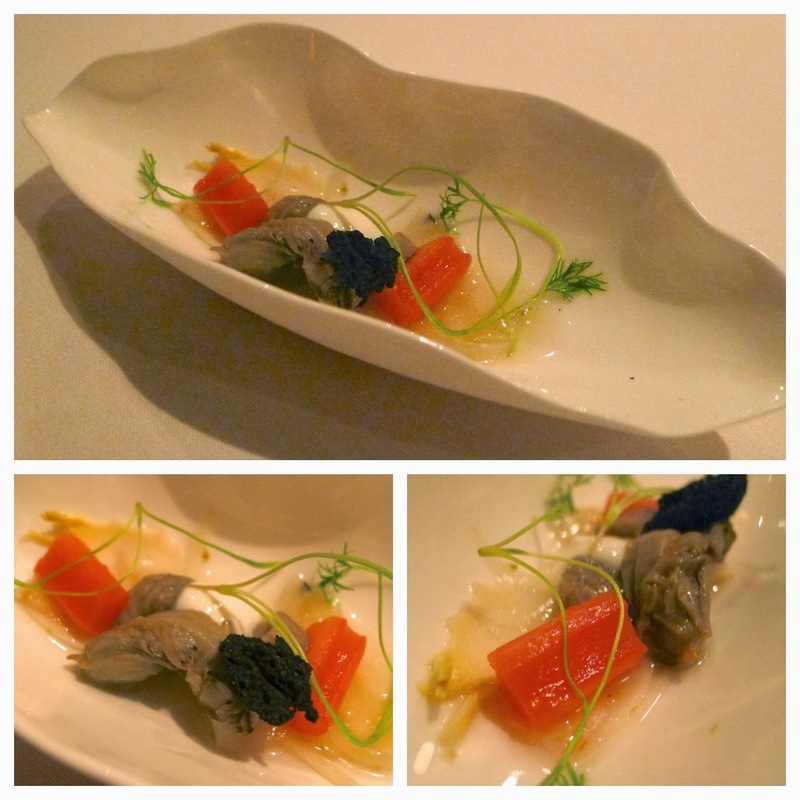 With a touch act to follow, the next dish was, I feel, the least successful of the night’s offerings: Baked Oyster, Poached Rhubarb, Fennel Salad, Buttermilk and ‘Coal’ - it was good but did not wow as much as I’ve come to expect from Marc’s dishes. 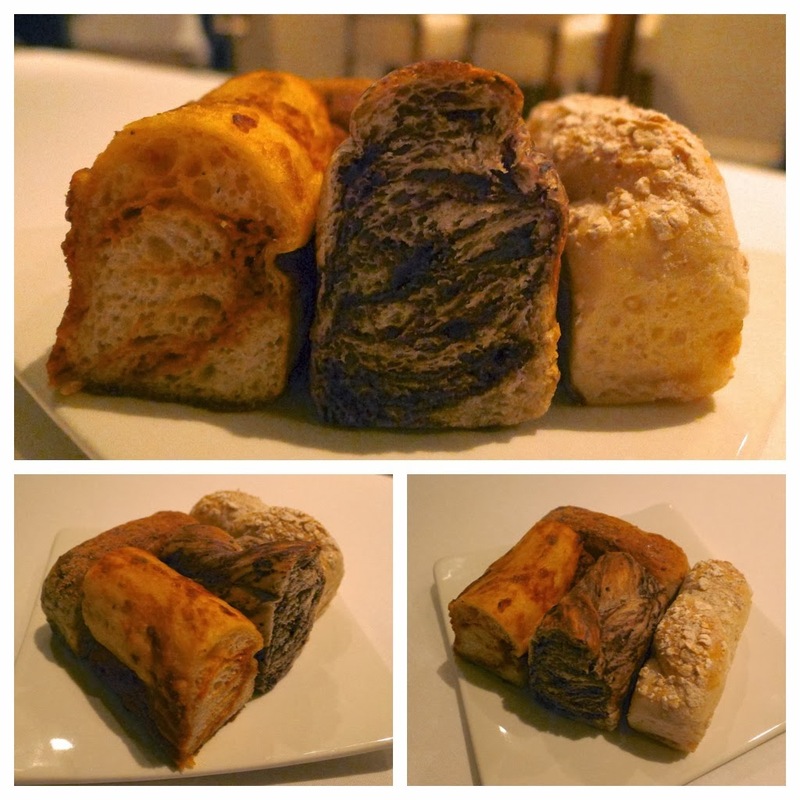 Breads: the second wave of breads consisted of Black Olive, Mushroom, Tomato and Organic Oat. 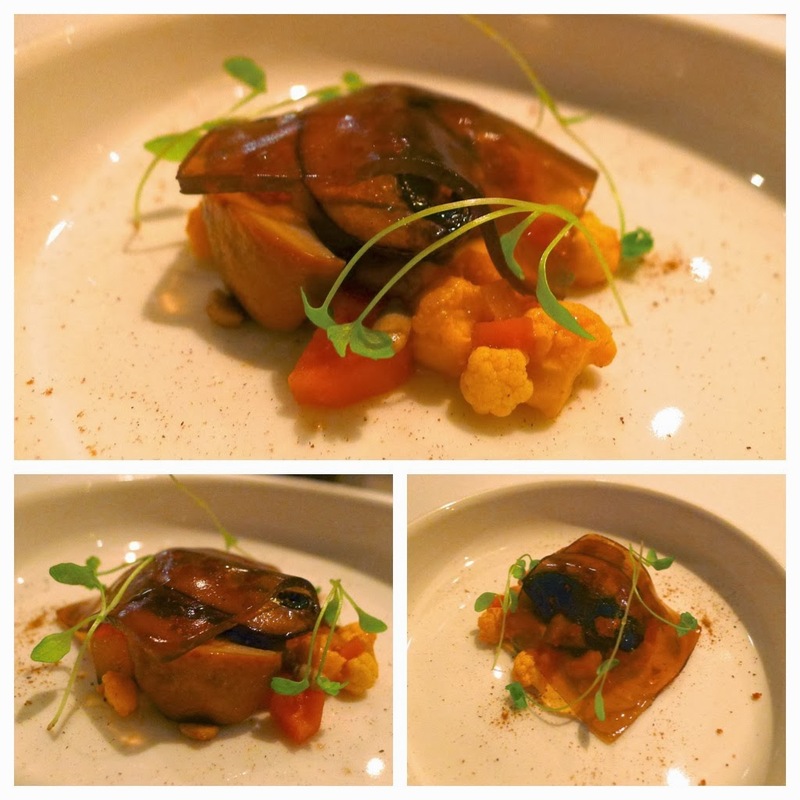 We were back in the game with the next course, an Asian inspired translucent Shitake Jelly that cloaked ‘Piccalilli’ vegetables, Confit Cep and Cep Powder – flavours that are right up my alley, perfectly balanced. Stepping up again, Seared Loin of ‘Sashimi Grade’ Yellow Fin Tuna with a Squid Ink Crisp, wilted Little Gem, a punchy Tomato Consommé with and extra hit of ‘Tomato Powder’. 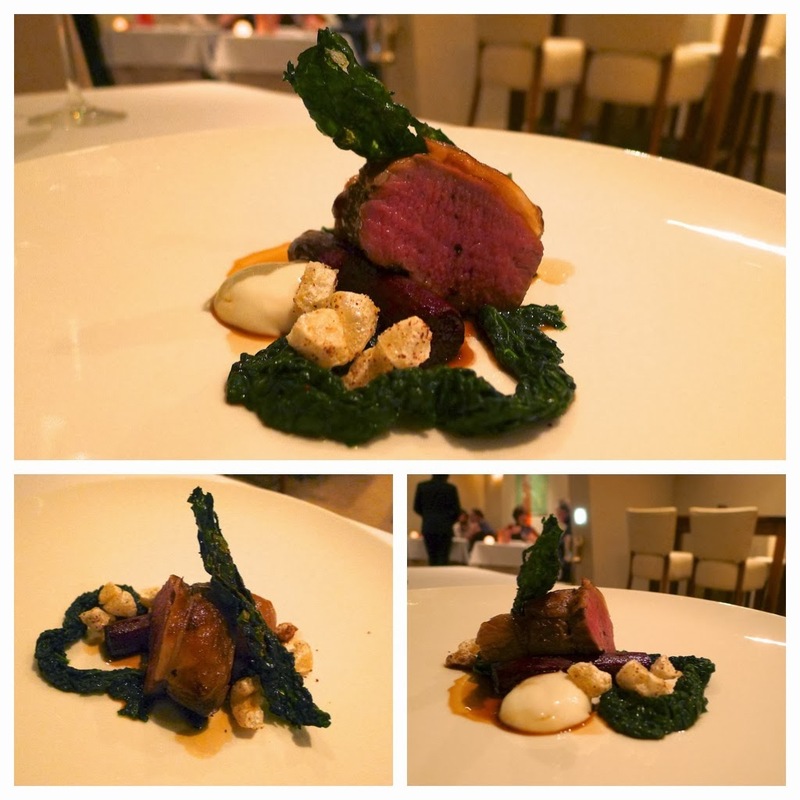 The meat main, Best End of Black Faced Suffolk Lamb was served with Cavolo Nero, Cavolo Crisp, Braised Salsify, Roasted Shallot, Spiced Scratchings and a dubious sounding ‘Feta Gel’ which actually added a creamy indulgence and another level of seasoning… clever idea. Talking of creamy indulgence, the ‘cheese course’ certainly qualified. 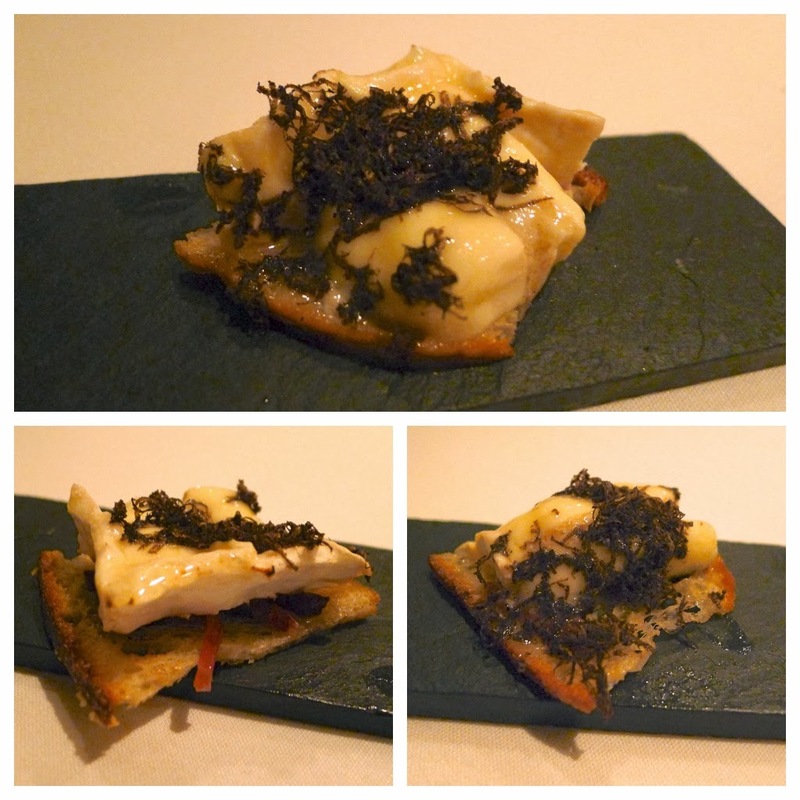 Usually I’d be mightily annoyed if Fraiche’s cheese chariot was replaced with “just a cheese course” but somehow the velvety luxury of Brillat-Savarin & Périgord Truffle on Toast made it all ok. The theatrics returned for the first of a series of sweet snacks, “Lemon Meringue Pie” – set atop of a beautifully sharp lemon curd. 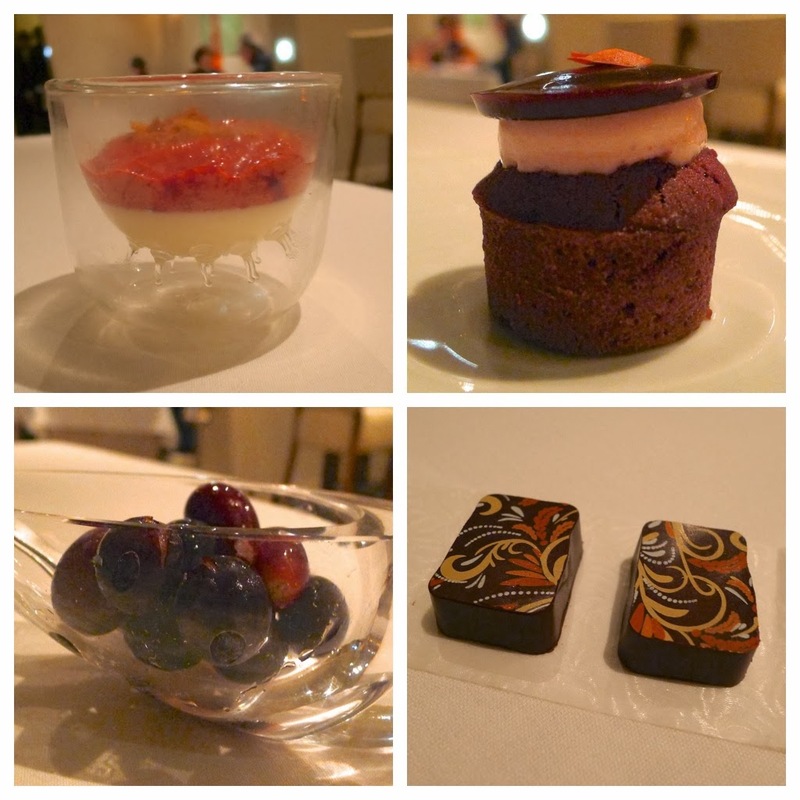 More sweet snacks ensued in the shape of Marc’s signature Sour Cherry Pannacotta, a delightful Berry Fairy Cake, tongue tingling Fizzy Grapes and Salted Caramel Chocolates. To finish, Poached & Caramelised Pears, Lemon Sorbet with hints of Jasmine and Ginger topped with shards of Brazil Nut Tuile. 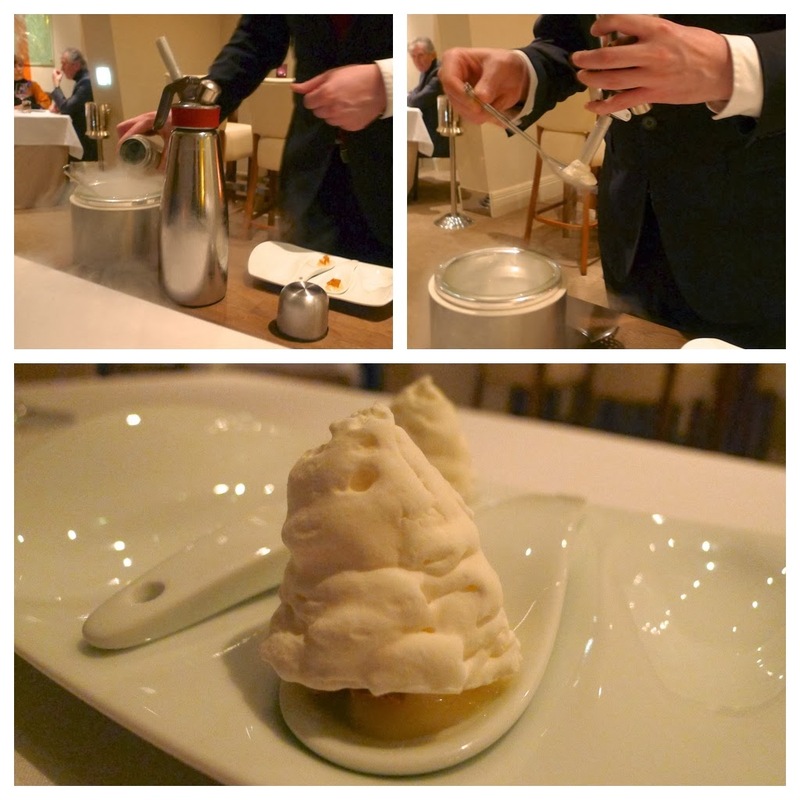 For a while now I’ve been bemoaning the lack of real top quality teas in high-end restaurants (and the fact that on the rare occasion they do have an ‘acceptable’ tea list, they are often served incorrectly). This was not the case here – in addition to the ‘normal tea list’ I selected an excellent Japanese Gyokuro Green Tea called “Kimi Ga Yo” (Ruler of the World) from the ‘premium tea list’. I’m pleased to report it was served to my particularly fussy liking. Another excellent meal at Fraiche. Book and go.